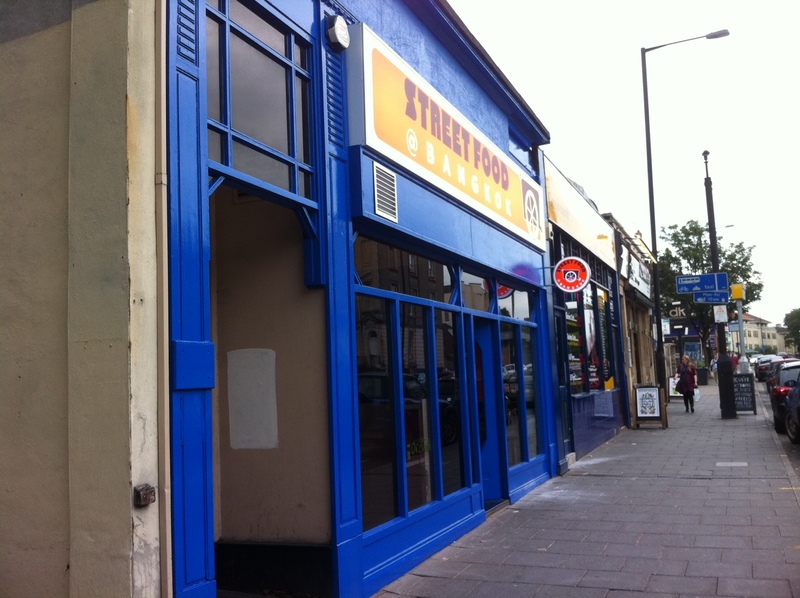 The outside of the restaurant is now decked out in the brand’s colours of blue and orange, which are translated through to the orange caps and blue and orange t-shirts worn by the staff. It’s currently a venue that doesn’t really seem to know how to position itself: the branding and uniforms scream fast food joint (which, ultimately, is what street food is), while the decor inside is that of a smarter restaurant. We were shown to our table in the back room of the restaurant, and both decided to order a jasmine tea (£1.50 per person) while we browsed the menu. The first thing that struck us was that the menu didn’t appear to be the same definition of ‘street food’ that we were expecting. I think we were both under the impression that we’d have the choice of many small dishes so that we could get a taste of a number of different Thai specialities. While the menu was divided into starters (around £4), mains (from £6.95) and desserts (£4.50), I did like the way in which they had been ordered and described. 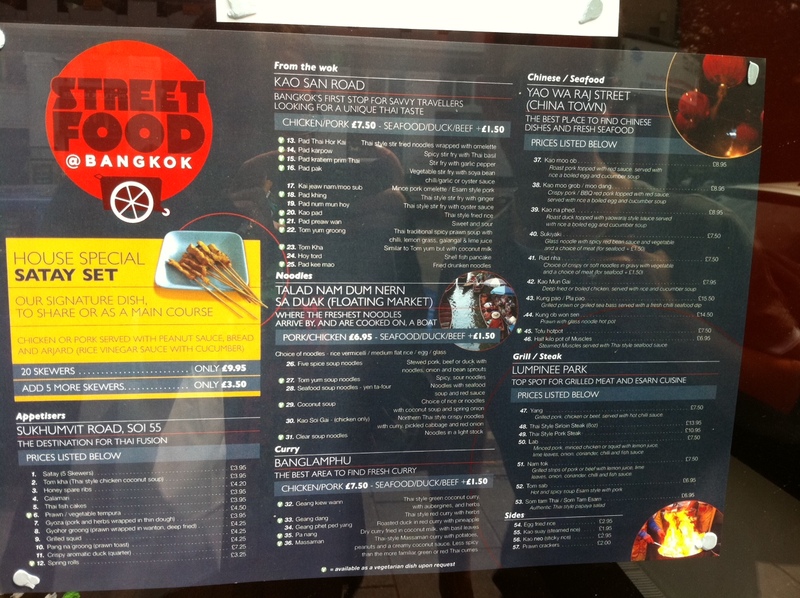 Every section of the menu, from wok-fried to curry dishes, is named after a part of Bangkok, with a description of street food common in that area. For example, I ordered my main from the noodle menu, with this section associated with Talad Nam Dum Nern Sa Duak (Floating Market) – ‘where the freshest noodles arrive by, and are cooked on, a boat’. A nice touch. 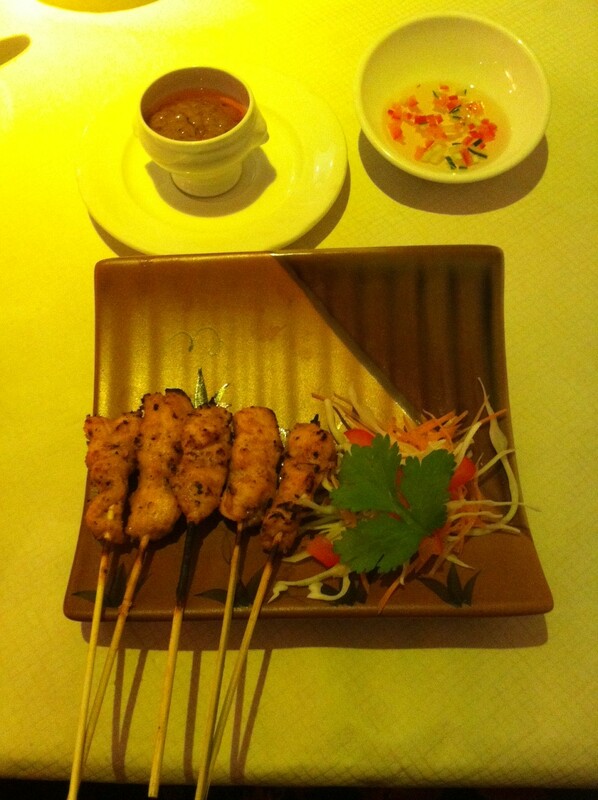 First things first, though – the starters (from Sukhumvit Road Soi 55 – the destination for Thai fusion). We’d asked for recommendations, and it was the satay (£3.95 for 5 skewers) that our waiter suggested without hesitation. According to the menu, it’s Street Food @ Bangkok’s speciality, so it would have been silly not to. 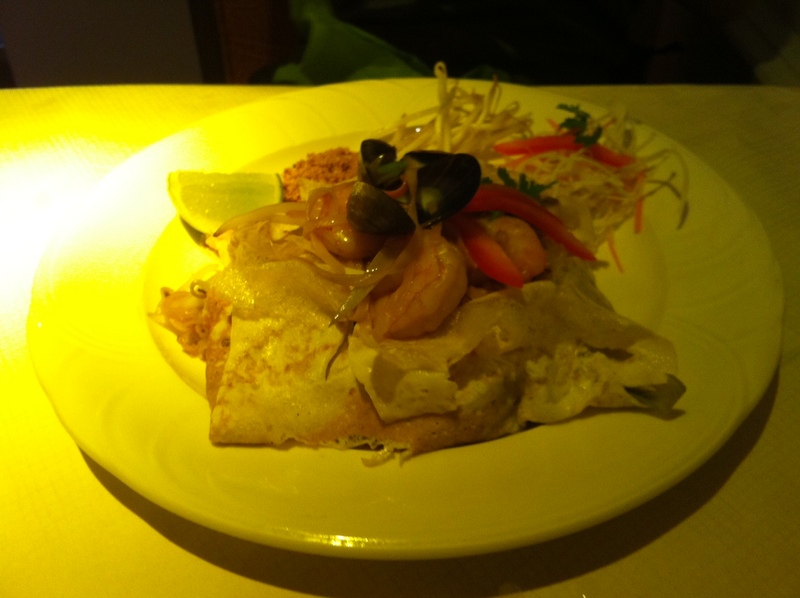 For her main, my friend had ordered the Pad Thai Hor Kai (£7.50 for chicken or pork, an additional £1.50 for seafood, duck or beef) – a Pad Thai dish recommended by our waiter, which is wrapped in a thin omelette rather than the egg being included as an integral part of the dish. She opted for the seafood version, which came with juicy prawns, mussels and squid perched on top of the parcel of noodles, along with a mound of chopped peanuts and a wedge of lime at the side of the plate, in order that the dish can be seasoned to taste. Her verdict? She described the seafood as lovely and fresh (well, you’d hope so on opening night!) but felt that the dish was a little bland and had to ask for chillis to spice it up a little. 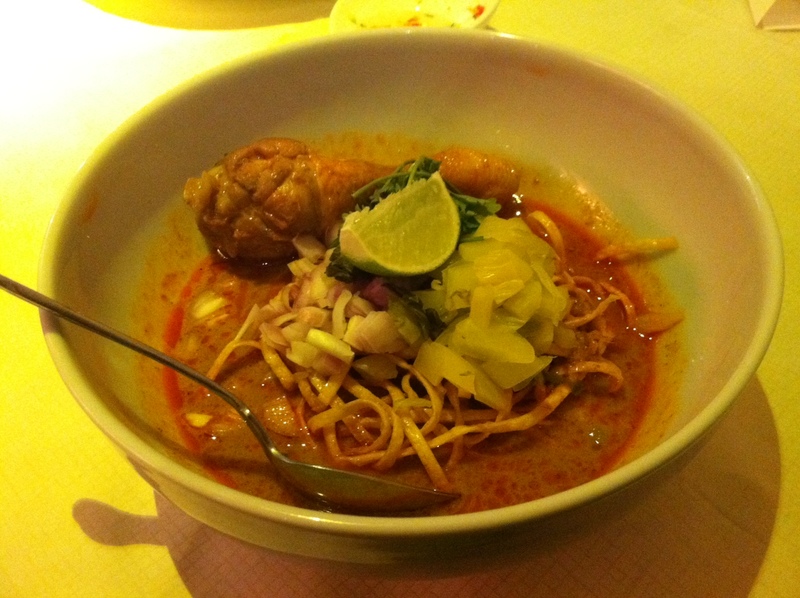 I also went for a recommendation from the waiter in the form of Kao Soi Gai (£6.95), a Northern Thai dish of crispy noodles in a thin, coconut milk-based curry sauce with chicken, red onions, fresh lime and pickled cabbage. Apparently it’s a common dish served by roadside stalls in Thailand, and I’ve not seen it on any Thai restaurant menus in Bristol so far, so I was keen to give it a go. My first thought, when tasting the first mouthful of the sauce, was that it was incredibly spicy. My second was that it was cold, but our waitress apologised and the kitchen made up a fresh bowl for me. Much better. The curry sauce was packed full of so much chilli that my face was apparently starting to turn red, but there was still plenty of flavour to the dish. I especially loved the pickled cabbage – again, this is something I’d happily order again on a return visit. 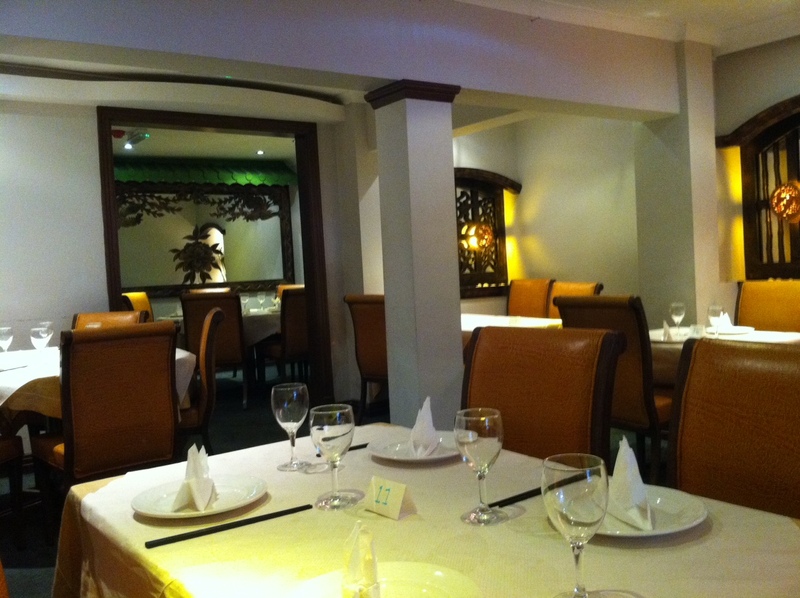 Although fairly empty when we arrived, the restaurant was practically full by the time we left. And I’m not surprised: although we had a few issues, it was opening night and I wouldn’t have expected things to go 100% smoothly. With a variety of other dishes on the menu that I’ve not seen in Thai restaurants before (such as a hot and spicy Tom Sab soup with pork), I’d be keen to go back for a second visit. Excellent buffet lunch on Sundays. Roast beef, Yorkshire pudding and veg plus chicken curry, spring rolls and rice. An unusual mix but very good!! the food here is a joke, all starters were extremely small bland and clearly microwaved. But then as a main i asked for the thai style stirloin steak, to be cooked medium rare, they then proceeded to bring me something i can only describe as shoe leather, i asked the staff if it had been pre-cooked to which they apologised and said it was and offered to cook a fresh one. After 20 mins they brought me out exactly the same thing but this time on a heated plate so i complained again as the knife they provided could hardly cut through it, and they in turn said it was microwaved and that not one item on the menu is fresh but the reccomend the duck – needless to say i refused and quickly left in disgust without paying and would advise you not to eat there even if it is ran by your family and are getting the food free… definately the worst resteraunt i have ever been in and i eat out a lot.